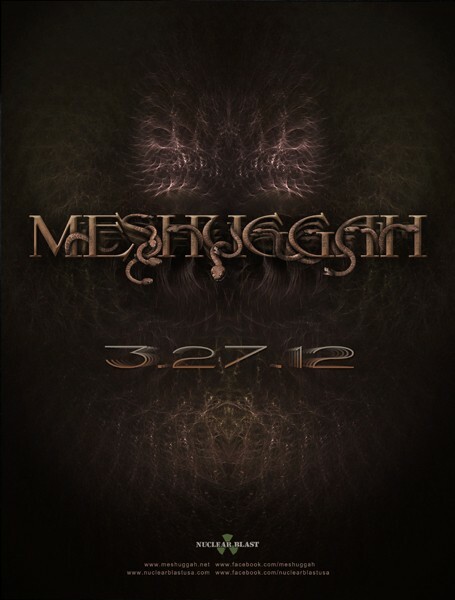 Meshuggah’s impending new record is one of the most hotly anticipated efforts on 2012. The band has confirmed European tour dates for April and it would appear that the new album will be upon us just before then – 27th March, to be precise. The band posted the teaser below on their site today, so exciting times lie ahead to say the least, especially in the wake of the myriad Meshuggah worshipping djent bands popping up from every crack and crevice.